As for her coldness, Douglas Fairbanks Jr. recalled with glee the ad lib Melvyn Douglas made while he, Fairbanks, Fred Astaire, and John Houseman were freezing on the sub-zero set of Ghost Story : “Haven’t shivered so much since I kissed Garbo,” said Douglas. And supporting actor Keye Luke, who made his screen debut in Garbo’s The Painted Veil , even had some reservations about her legendary beauty. 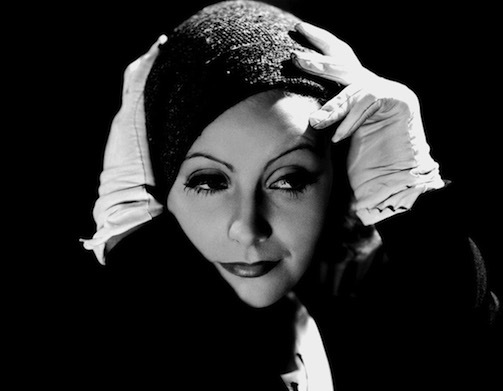 Still, Luke found that Garbo was “very kind to me” at a time in Hollywood history when many stars treated Asian actors very poorly, having little to do with them. Yet Joseph Cotten, who played her husband in Niagara , characterized her differently. 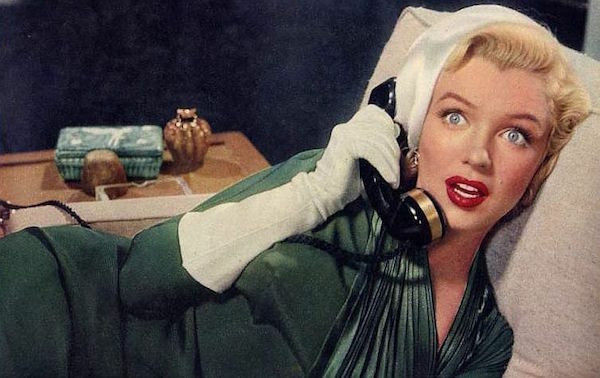 Cary Grant also relished the fact that he had worked with Monroe in Monkey Business  before the pressures of superstardom began to damage her emotionally. He remembered her as “winning and adorable”. Anne Baxter worked with Monroe even earlier, in 1950s A Ticket to Tomahawk, in which Marilyn played a chorus girl. She remembered the young Marilyn as having “dirty fingernails and always seemed so unkempt,” and was surprised when the fledgling star suddenly exploded into fame after small, but showy roles that same year in The Asphalt Jungle and their next picture together, All About Eve. In fact, Baxter said, Monroe’s sudden boom in popularity got her the role in How To Marry A Millionaire  that Baxter was supposed to play. This entry was posted in Books, Guest Posts and tagged Authors James Bawden and Ron Miller, conversations with classic film stars, greta garbo, marilyn monroe. Bookmark the permalink. I just put this book in my bucket list! I love Marilyn Monroe. One of my fav Marilyn performances is with Cary Grant in “Monkey Business”… but she I ALWAYS think of her in “The Seven Year Itch” when I get a hot flash… and it seems there is no getting away from the heat. In TSYI she mentions putting her underwear in the icebox! In my humble opinion she was under-rated. I adored her in Some Like It Hot and her other comedies and musicals, but she was also good in dramas. She really impressed me in Niagara!